If you want to start your child’s education early, you may need a preschool. If you need child care in a positive environment, you may need a day care. The process of evaluating each can be confusing. It can also be hard to tell the difference between preschool and day care. There are distinct differences between them which may sway your decision in either direction. When looking for a good Colorado Springs child care facility, you will want to check the details of each. Both preschool and day care centers should have licensed and accredited teachers and caretakers. 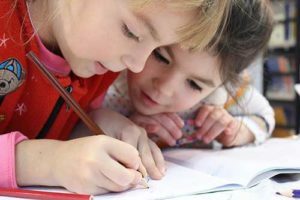 Both preschool and day care centers should have a structured curriculum. This structure will give your kids a proper pre-kindergarten or supplemental education. The cost is about the same for your child with either choice in Colorado Springs. Don’t think that preschool should to be more expensive. If you find that preschools are more expensive, it might be a better idea to save money and enroll your child into day care. Either choice should provide a great education for your child. Both preschools and day cares can give your kids the education they need to excel in kindergarten. The first big distinction between preschool and day care are the age limit differences. Preschools are designed for children ages three to five. They lay the foundation for kindergarten. Day cares accept a wide range of ages. They care for children in households where both parents work. Because of the limited age range, preschools tend to have a specific curriculum aimed at pre-kindegarten children. But is a preschool considered a preschool only if there is a focused curriculum? The short answer is no. While day care centers are often seen as babysitting solutions. Many also have focused and structured curriculums. These are usually geared for children of different ages. These centers can tend be larger to accommodate different age groups. One important thing to consider is that you may need to be more involved with your preschool. For example, if your child gets sick, you would need to come in to take care of the problem. Some preschools also require your child to be properly potty trained. Preschools also have stricter rules then day care centers. A day care centers’ emphasis is on caring for your children while you are working. Another consideration will be their hours of operation. Preschools tend to have shorter hours and often operate on the regular school calendar. Day cares are generally more flexible. They have hours to focus on caring for children with working parents. Day care is the preferred option for households with working parents as they need to pick up their children after work. There are other things to consider when looking for a Colorado Springs child care center. For example, some centers will have music and art programs to help your kids develop their creative brains. Other centers may have language classes to get your kids started on a second language at an early age. While these programs are nice, not all Colorado Springs preschools offer these programs. Try to focus on what is most important to you and your child when deciding on a Colorado Springs day care or preschool. You may want to avoid child care centers that have an accelerated education curriculum unless your child has already started kindergarten. Understanding that child care centers provide a foundation for education is helpful. Toddlers may not be able to comprehend or keep up with the details of accelerated education. These centers charge more than average preschools because of the advanced education level. If you’re looking for a reputable Colorado Springs child care center, you should consider the Young Scholars Academy. We offer education for a wide age range, have diverse child care programs, and also have before/after school programs for busy parents. Contact us to learn more about how we operate and how we can accommodate to your needs. Our daughter is getting to the age where she can go to a preschool program. We think that socialization is important for early childhood education. I agree that it is important that the preschool has accredited teachers in it.